Unlike the Republican primaries, artists and DJs across the world have been quickly getting in the race to make the top Summer Jam of 2011. With summer and its festivals/parties right around the corner, a clear winner hasn't emerged to become that song, the ubiquitous track, that no matter where or when it is played, everyone immediately starts dancing. Last year's undisputed champ was of course "We No Speak Americano," and you, your mom, your distant cousin, all will know soon enough who's going to win this year. 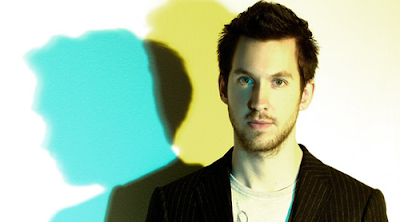 Calvin Harris has been a personal favorite for a few years now, and makes fun, catchy, house that doesn't aim to please at the lowest common denominator level. His newest single is no different. Enlisting the oddly entrancing vocals of Kelis, Harris does what he does best-throws some funky synths in there and makes an absolute banger. With lyrics that may allude to Kelis's public divorce with Nas (which caused this video), the song doesn't let itself get too caught up in it, it's too busy having a helluva time. In a crowd that gets deeper by the day, "Bounce" is so far the clear front runner.